Model number 6FQ71 6CG7 Printed on tube and handwritten on boxtop. 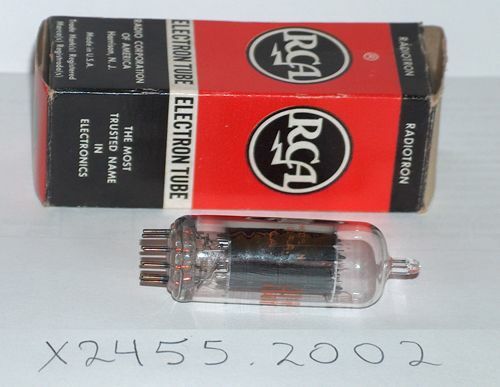 Other number 29 Embossed in glass next to connector. Other number 32R18-R (9-60) Printed on box lid tab. Dimensions are of the box.. 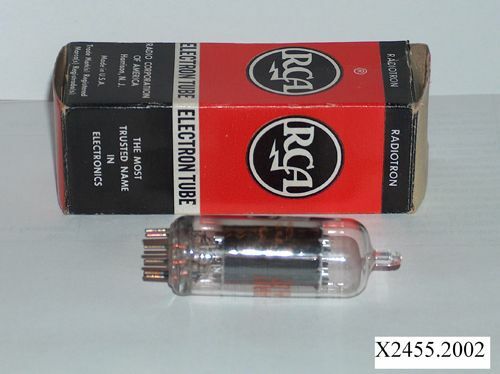 Object consists of vacuum tube in original box.